Her construction started in 1904 in Bergen, Norway as a cargo and a person transporter ship. She had been completed in 1905. 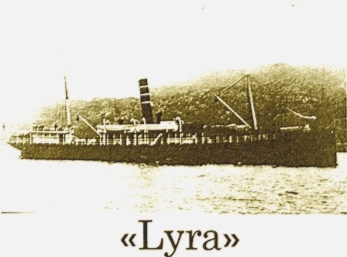 Her original name was Lyra. Her name was changed to Biga when she had been bought by the Ottoman in 1914. She had been sunked by E-7 English submarine near Mudanya in 10th of July 1915. This information is about Lyra but the translation can't be completed yet.